You hit snooze one too many times. You spilt coffee all over your white dress shirt on the way to work. You just endured yet another political conversation about this year’s election. Your kid just told you they have a science project due tomorrow morning, and it’s 8pm. Life is full of stressful situations and events, and without proper coping mechanisms, we can easily self-destruct. 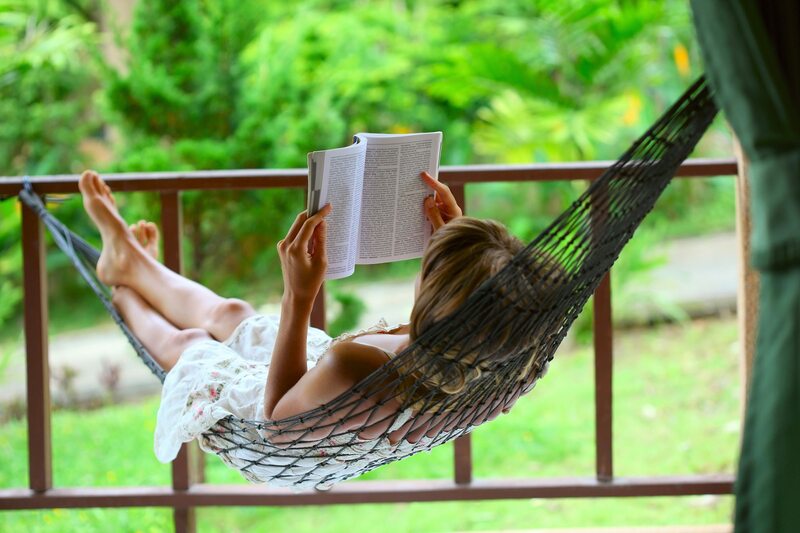 Unfortunately, we can’t always jet off to a tropical island to relax when life seems overwhelming, so we’ve rounded up 20 ways to relax and reduce stress in just 5 minutes or less. Whether it’s taking a bite of chocolate or going to smell the roses, these tactics can help you cope with stress during difficult times. 1. Sip green tea. Green tea is a source of L-Theanine, a chemical that helps relieve anger. Drink up! 2. Eat some chocolate. Just one square (about 1.4oz) of chocolate can calm your nerves and regulate levels of cortisol, the stress hormone, in your system. 3. Meditate. Evidence shows that just two quick times of silent meditation each day can relieve stress and depression. Find a quiet, comfortable spot and concentrating on your breathing. 4. Remember to breathe. Slow, deep breaths are proven to lower blood pressure and heart rate by helping balance the mind and body. 5. Say the ABCs backward. Try slowly saying the alphabet and then say it backward to calm down. It’s much more difficult to panic when you’re focused on what letter comes next. 6. Close your eyes. Closing your eyes for a quick break is a great way to calm yourself and regain focus. Visualize success as you do so. 7. Rub your feet over a golf ball. You can give yourself a relaxing foot massage by simply rubbing your feet back and forth over a golf ball. 8. Squeeze a stress ball. Squeezing a stress ball is a great way to release tension on the go! 9. Run cold water over your wrists. There are major arteries right underneath your skin, so cooling this area can help calm the whole body. 10. Brush your hair. Repetitive motions such as brushing your hair, washing dishes, or knitting are great for helping the body relax. 11. Get some sun. Bright light is a great treatment for people who suffer from depression — if you’re feeling anxious, head outside for some vitamin D.
12. Get organized. If your office space or home is cluttered, it may be contributing to your stress. Take a few moments to straighten up and organize your surroundings. 13. Stretch. Standing up for a quick stretch not only is good for your back (yes! ), it relieves muscle tension and helps us relax. 14. Take a walk. If you’re feeling stressed, take a quick walk around the block. You’ll benefit from time alone, exercise, and a few minutes to collect your thoughts. 15. Listen to your favorite song. Listening to music is a simple and quick fix for a bad mood. If you’re really worked up, try some classical music to calm you down. 16. Smell the flowers. Certain smells can change our mood, and flowers are known for their ability to lift our moods. 17. Cuddle with a pet. There’s a reason dogs are used as therapy tools. Pets help boost self-esteem and make us feel welcome. 18. Laugh. A fit of laughter increases blood flow and boosts immunity. Find a funny meme, laugh at a YouTube video, etc. to relieve some stress! 19. Talk to a friend. We aren’t meant to live life alone, so if something is really on your mind, talk about it with a friend. 20. Start planning your next vacation. Picturing yourself on a tropical island, skiing down the mountains, or exploring the world is a nice way to take a break from work and relax your mind.